For high quality 360-degree photos or videos, the preferred solution among professionals is still a rig, a frame that arranges two or more cameras to capture a 360-degree view. 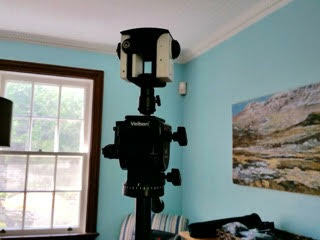 Most 360-degree rigs, such as the Freedom 360 are based on GoPro cameras, which usually puts the total cost at thousands of dollars. What if a rig instead used Xiaomi Yi action cameras, a Chinese clone of the GoPro with decent image quality? That’s the idea behind the Brahma rigs by Stephen Jones of VRExperience. Some of the Brahma rigs use 6 cameras. The Brahma Duo is VRE’s smallest rig which has full spherical 360 capture with only two Xiaomi Yi cameras, modified with 220-degree lenses. The Duo comes in two versions: wider Standard version and a more compact Slim version (both shown above). I asked a Brahma Duo user, Martin Smith, about the process for assembling the rig. 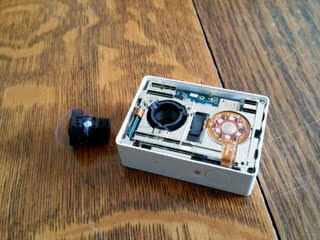 Modifying the Xiaomi Yi requires removing the old lens, grinding down part of the casing, and installing a 220-degree lens. 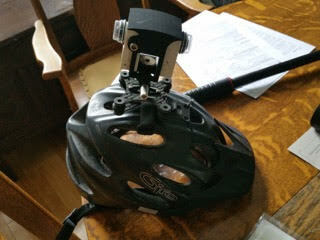 Martin also used a camera mount for a drone to attach the rig to his bike helmet. The drone mount has rubber dampeners to help add some stability to the video. 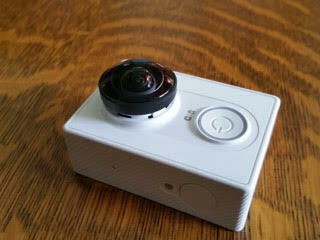 To stitch the videos from the Xiaomi cameras, Martin used AutoPano Video. As you can see from the video, the stitching is seamless, and although the video is 1080p, you can see that it a lot of detail and dynamic range. The 60fps frame rate from the Brahma Duo also makes the video look smoother, especially when viewed on a VR headset such as a Google Cardboard viewer or the Samsung Gear VR. 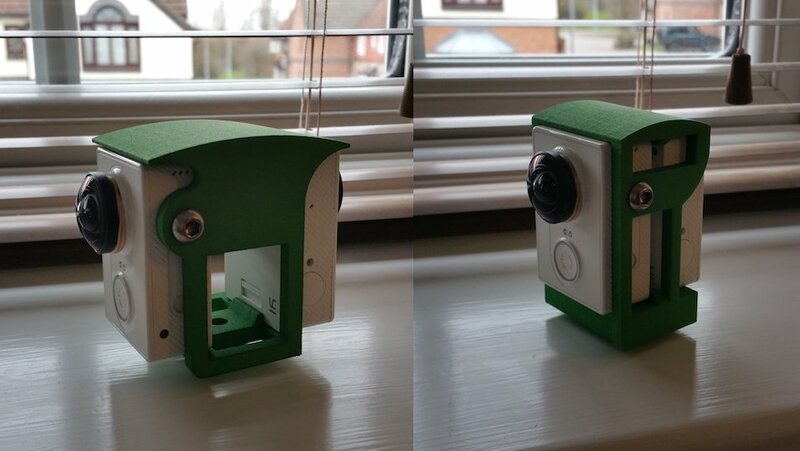 UPDATE: Here is another sample (on a tripod). Great for viewing on a headset. Thanks to Martin for showing us the Brahma Duo rig! Check out his YouTube channel for more Brahma Duo videos.